WaterPura is now Bets & Emy. 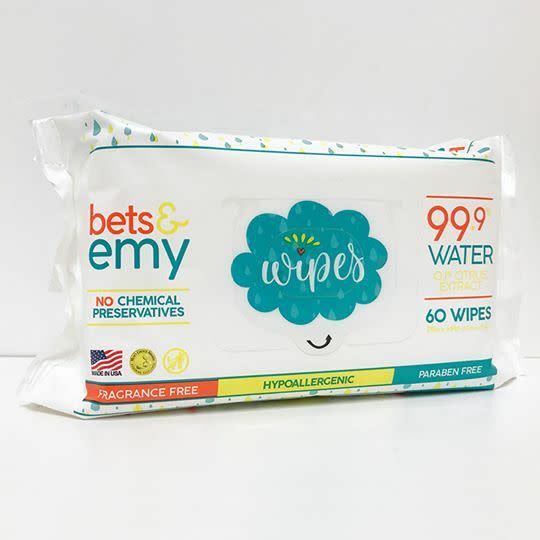 10ct wipes packaging has already changed over, with the 60ct packs changing to the Bets & Emy packaging very soon. WaterPura All Natural, Chemical-Free baby wipes are the perfect choice for all parents that have children with sensitive skin. Because of the frequency with which we use baby wipes, coupled with the fact that they are used on the most delicate areas and that we don’t wash the area off after use, makes WaterPura the ideal choice of baby wipe. Their natural composition and durability makes them the ideal natural baby wipe for everyday use while eliminating the risk of an allergic reaction from harsh chemicals. Clean, fresh skin is just a gentle wipe away with WaterPura’s all natural, fragrance free and hypoallergenic formula.